Apricale, the village of lovers. Apricale, Feb. 2007. 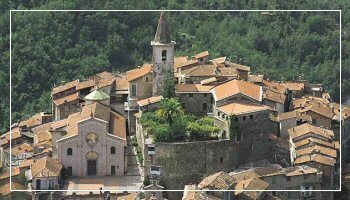 In Apricale, the exhibition “A come Amore” has been a fixed appointment for quite a few years for all of those who want to celebrate S.Valentine’s day, on Feb 14th, in a more different, original way. The month of February sees the small town change into a love nest, the great atmosphere of its streets and squares, the intimacy of its pathways draws everyone who wants to spend a romantic evening in one of the most stunning villages in Italy. The itinerary includes the main square, the Lucertola castle, concerts and exhibitions starring the actors of the Tosse theatre, and local restaurants offering aphrodisiac menus….